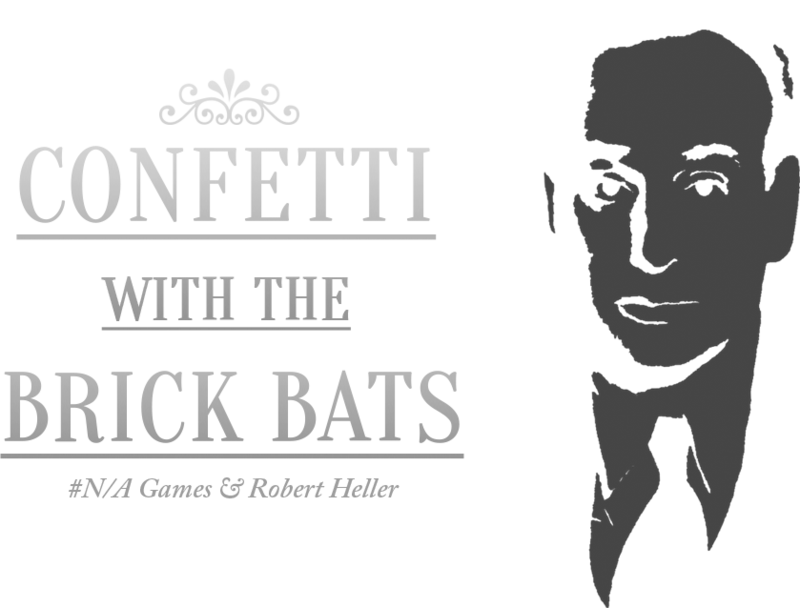 Confetti with the Brick Bats is a historical simulation game made for Tim Hwang's "The Power Broker": A Game Design Competition. It was made by Alexander King & Noca Wu, and was written by Robert Heller. The game places the player in the shoes of Robert Moses in the humble work of simply examining documents and deciding on a course of action in three pivotal episodes from Moses's career. 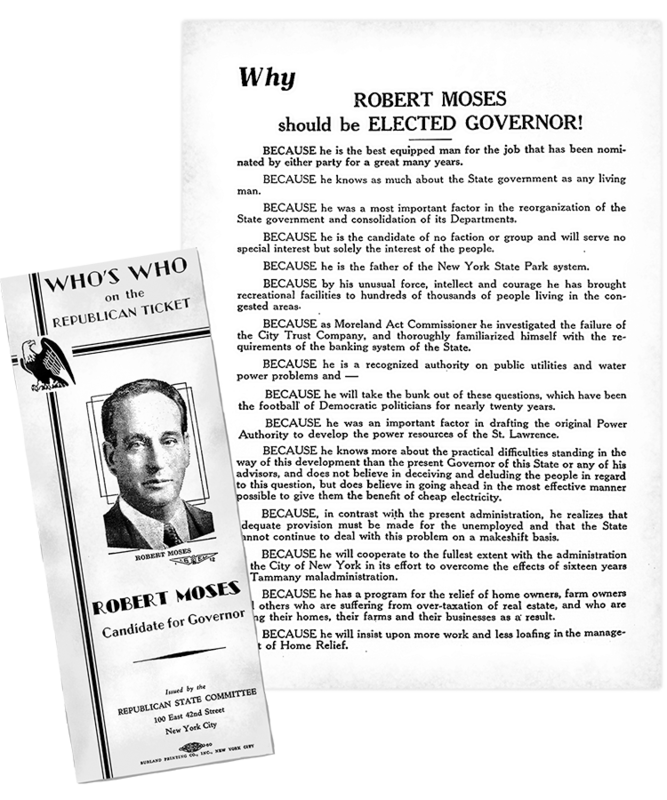 The title comes from a response Moses gave in a July 1966 letter to someone who had written him to express condolences at his recent political losses. His terse reply was "Thanks loads. A little confetti with the brick bats." 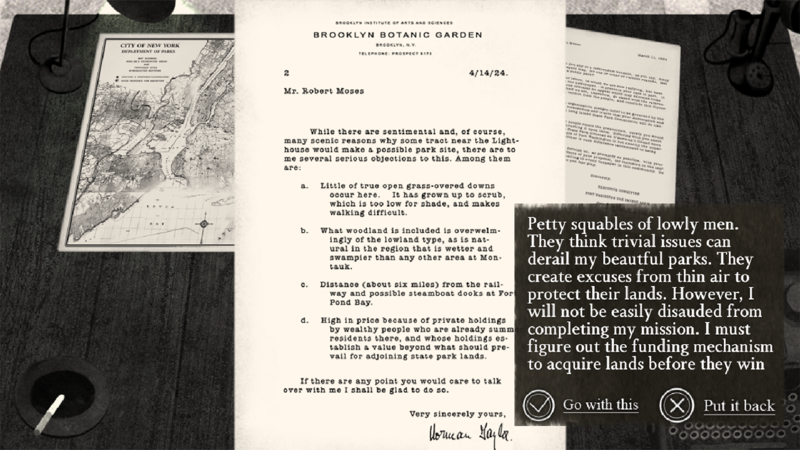 In each of the three episodes in the game, the player must examine documents which indicate a potential action Robert Moses can make. 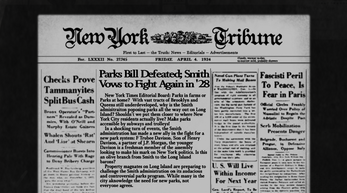 Once three have been selected, the result is shown on a newspaper headline. 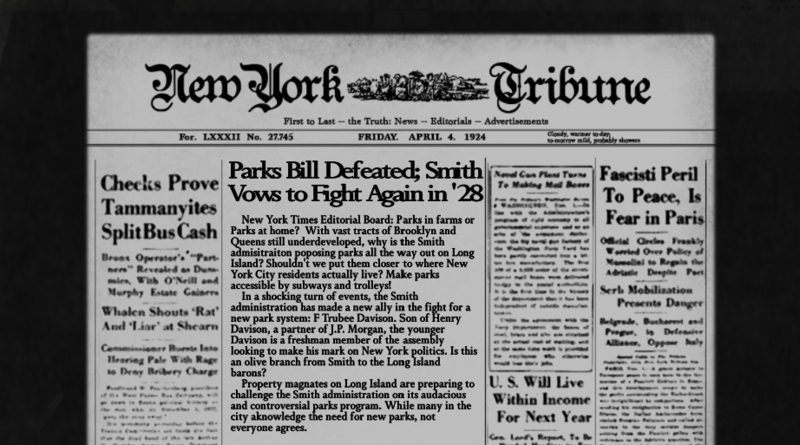 There are many possible endings, and the game was designed with multiple playthroughs in mind. In order for the game to fully reflect the life and work of Robert Moses, we had the great privilege of conducting primary research in the Robert Moses papers collection at the New York Public Library and using maps from the Brooklyn Historical Society. 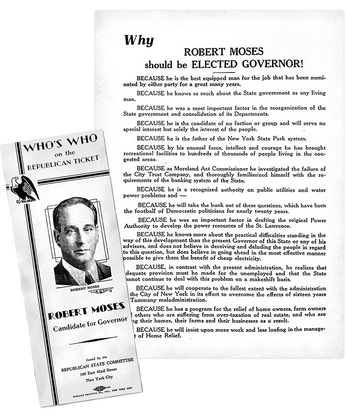 We combed through thousands of pages of letters, directives, newspaper clippings, and other publications to better understand his decision making process. 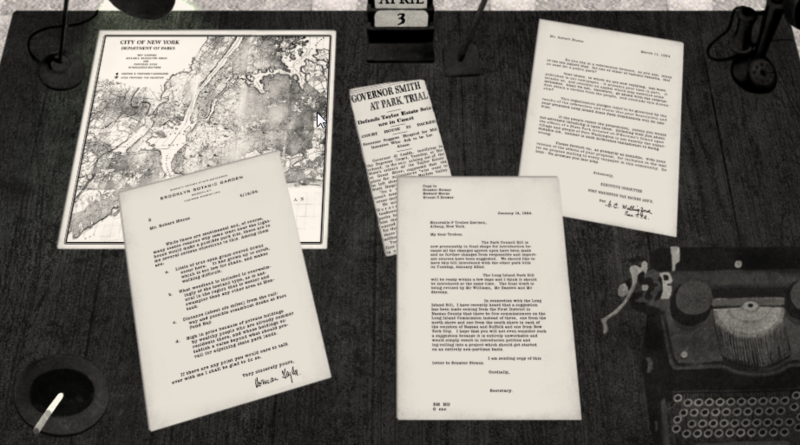 Many of the documents you'll see in the game were discovered in his personal correspondence, and represent the first time they have been digitized. 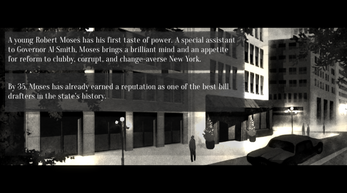 We hope you feel as though you are sitting in his downtown office while playing the game. 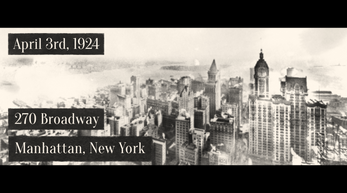 For appropriate ambiance we have period appropriate photographs and typesetting, and the game's background music is Robert Moses's favorite band, Guy Lombardo and his Royal Canadians, courtesy of radio recordings from Archive.org. The original builds of the game made on July 29th are provided below for competition judging purposes. Otherwise, please download the latest build, which fixes some dumb mistakes we made!